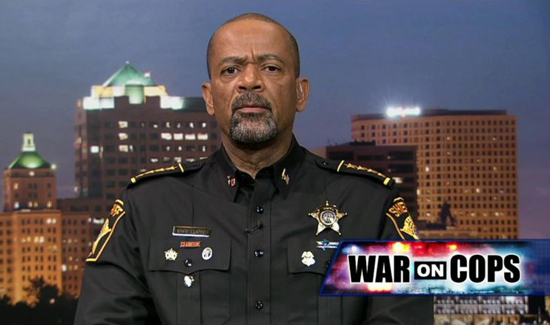 If you don’t know who Milwaukee County Sheriff David Clarke Jr. is, you’re probably not a fan of FOX News. Clarke is a gifted politician and a conservative firebrand who has become a something of a rock star in conservative circles. One of the reasons the media is enamored with the sheriff is his capacity for soundbites and rhetoric. Clarke’s tweets and comments are frequently liked and shared on social media, be it limited to specific demographics. Clarke, who considers himself a constitutional sheriff with authority equal to the President, frequently appears on conservative talk shows, where he generally reserves his fiercest criticisms for black Americans. What’s interesting is not how that plays on the stage of the national, mainstream media, but instead how Clarke’s vitriol and bombast impact things like his budget. Let’s just say the tough-guy routine works way better on television than in real life. At least as far as the budget is concerned.